An ardent Brexit supporter who delivered an egg-cellent blow to Labour Party leader Jeremy Corbyn during the visit to Finsbury Park mosque and Muslim Welfare House earlier this month has admitted an assault charge and been sentenced to 28 days in jail. CCTV footage from 3 March showed John Murphy walking up behind Corbyn and hitting him in the head with the egg while yelling "respect the vote", in an apparent reference to the 2016 Brexit referendum. "As he [Corbyn] was struck he heard a male voice shouting: 'Respect the vote'", District Crown Prosecutor Kevin Christie said. The Labour chief, who was visiting the shrine with Diane Abbott, the shadow home secretary, as part of the annual Visit My Mosque Day initiative, was not hurt in the incident, although said that he was "shocked and surprised" by the attack, causing his team to work on boosting his security. "I was shocked and surprised when the assault occurred as I have always felt safe and secure at the Muslim Welfare House. The assault was completely unprovoked and threatening. Whilst I’m determined to make sure I’m able to interact with people as I always have, I now have to be more cautious. I feel these kinds of attacks drive a wedge between elected representatives and those who elected them in the first place. We are now reviewing and increasing my security protection", Corbyn said in a statement. Thank goodness it wasn't anything worse that could have killed or seriously injured him, frightening to think that this happened at all — lets hope his security is upped now so he's better protected. 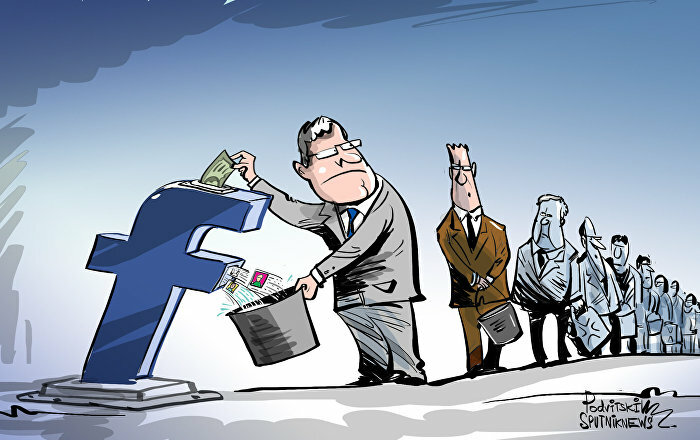 — JC4PM (@Tinkerbell32112) 25 марта 2019 г. — 🕊CrémantCommunarde🦁 (@0Calamity) 25 марта 2019 г. — Tommy Corbyn (@TommyCorbyn) 25 марта 2019 г. — Ben (@BenJolly9) 25 марта 2019 г. It wasn’t an egging it was a physical assault. Egging is a bit of a joke, like flanning. Nothing funny about this attack. Glad the idiot has been jailed. — HuriKane (@kane_huri) 25 марта 2019 г. 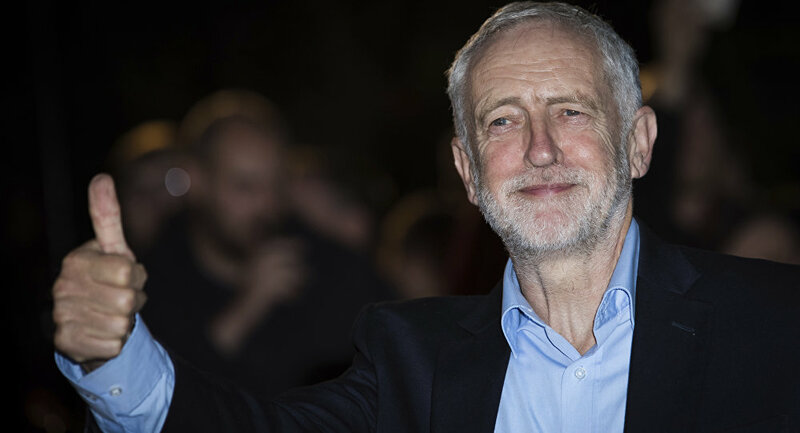 The attack on Corbyn came a week after the Labour Party announced it would support a second Brexit referendum if Prime Minister Theresa May failed to adopt his party's approach towards the divorce from the EU, which envisaged changes to the political declaration accepted by London and Brussels. Corbyn laid out five demands, including a "permanent and comprehensive customs union with the bloc" and "close alignment with the single market underpinned by shared institutions and obligations". 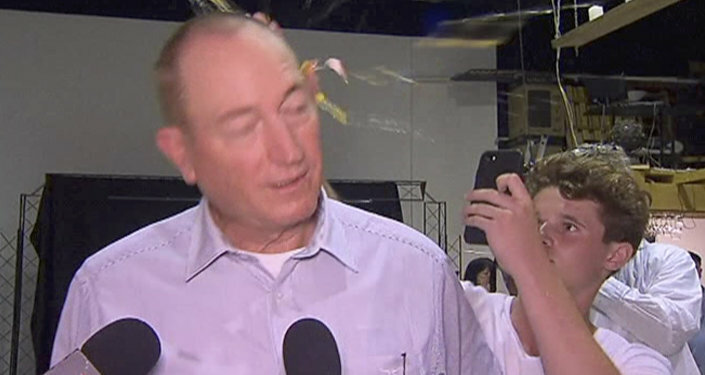 Less than two weeks after Corbyn was egged, an Australian teen smashed an egg on Queensland Senator Fraser Anning's head in front of cameras. Will Connolly, who has since been dubbed "Egg Boy", was angry at Anning after the senator blamed the deadliest mass shooting at New Zealand mosques on the country's immigration policies that "allowed Muslim fanatics to migrate to New Zealand in the first place".